Hey guys! Its WBO's 8th Aniversary and to celebrate this we are having this event and special thing is there won't be entry fees!! The Event; Role of the Host, co-Host & Judges; Formats and more! What time do I need to be present at the tournament location? How long does it take to complete the event ? Quote: *It depends on the number of participants and the Tournament Format. *It takes approximately 2 hours to finish one format. For two formats it will take 4 hours and so on. Is there any age limit for this event? The sport is for everyone. What if i put myself on the confirmed list and then don't show up at the event? Quote: You will be WARNED, and BANNED from future WBO tournament. Plus you will be spoiling the fun of all the members, if due to you we have to cancel the event. What if i arrive after the event has begun? Can i still enter? Quote: => NOPE. We CANNOT delay our event because of one person. => You need to take special permission from the host a few days in advance. => If you have a valid reason, your request will be granted. Quote: We would appreciate if you can cooperate and provide photos/video clips of yourself. We use them on the forum; sometimes on our WBO Indian Facebook page and other social platforms. At the previous tournament, the host and a judge touched my beyblade's, why !? Quote: -> Part checking is a MANDATORY rule of the WBO at events. -> DONOT bring fake beyblades at the event. The judge may ask you not to use so and so beyblade if it is fake or worn. DONOT argue with him! His decision is FINAL & BINDING. -> The host and judges have AUTHORITY at WBO official tournaments to check your beyblades ANYTIME during the event. -> Please CO-OPERATE and read the rules before coming to the tournament. Failure to abide in any rule will lead to your disqualification. How long does it take for the tournament to be processed? Quote: It normally takes around 2-3 weeks from the day of submission of the results & fees. Be PATIENT. After that you will be rewarded with faces, credits, rank etc. Can i sell, buy, trade at the event? Quote: You are NOT ALLOWED to buy, sell or trade DURING the event. We have a limited time to complete the event. You can sell, buy, trade with fellow members BEFORE or AFTER the event. I got my beyblade/part(s) stolen at the last event What do i do? Quote: Post in the thread. PM the members who attended the event. If we find the culprit, we will REPORT them to the POLICE and we will make sure they are BANNED from entering any future WBO events. Can you give a brief explanation on Round Robin, Block Round robin, swiss and other various tournament Formats? Quote: If you are a winner (first, second or third) of the event, it is your DUTY to tell your winning combo to the host/judge. The host will be sending it to the committee via results as per the WBO requirements. How can i find bladers near me? Is that even possible? Quote: The WBO has a WBO BeyMap where you can find bladers around you. Click here . You can register for free. Are there any basic necessities to do before participating in the event? Quote: The WBO is trusted by lakhs of people. Can i host a WBO sanctioned event at my area? Quote: Yes. Anyone can host WBO events. Read the Event Proposal Guide, and How To Make A Tournament Happen - Guide if you meet the requirments mentioned there you too can host. What is the fee for this event? To whom do i pay the fees? 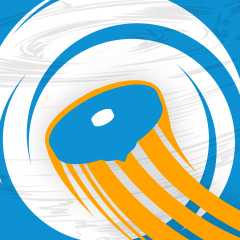 *You can send the fees to the WBO online via paypal, here donate@worldbeyblade.org (before entering the event). *Dont have a paypal account? You can submit your fees at the event itself to the host, BEFORE it begins. *If you want to purchase a passport, click here. We recommend you purchase a passport if you will be attending the events regularly. added Poster. Thanks to Forbidden 1 for making it! Due to some personal issue i want to request all the bladers that if we can postpone the event on 27th of December .. ? 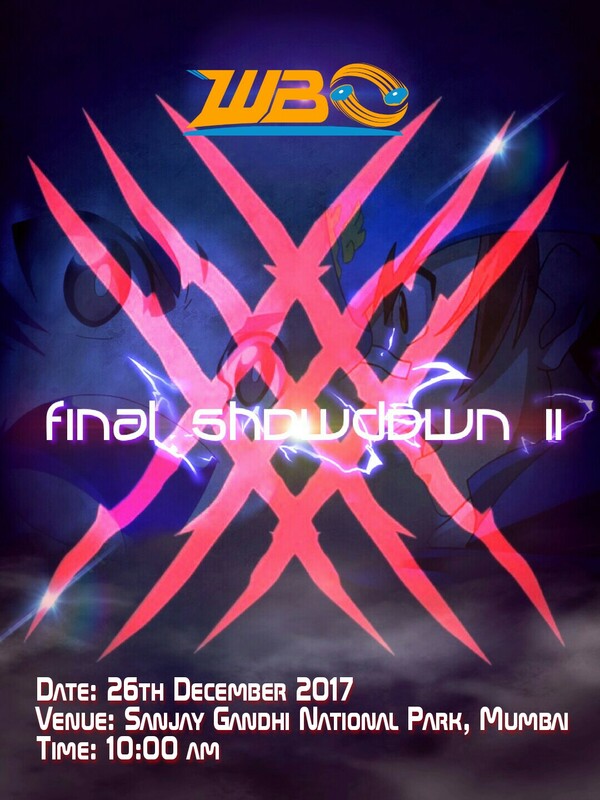 (Dec. 14, 2017 5:02 AM)Snidmist Wrote: Due to some personal issue i want to request all the bladers that if we can postpone the event on 27th of December .. ? It's been a while... Add me to the confirmed list! Well, Back on this site for a while. Have missed Beyblade a lot hah. (Dec. 16, 2017 9:44 AM)Maximum Dranzer Wrote: It's been a while... Add me to the confirmed list! OH MY SPINNING BEYBLADE! it would be awesome to meet you after so long! this event is going to be awesome! Btw for all those who registered , there were 23 ppl if you reading this , from next time think twice before hitting that register button it's not your door bell only if you can come hit the register button . Hey FIREFIRE CPB, would it be possible for you to go ahead and pre-process this event when you get a chance? (Jul. 18, 2018 7:07 AM)Kei Wrote: Hey @[FIREFIRE CPB], would it be possible for you to go ahead and pre-process this event when you get a chance?